In the quest for the perfect cheesecake, I have often come up short. 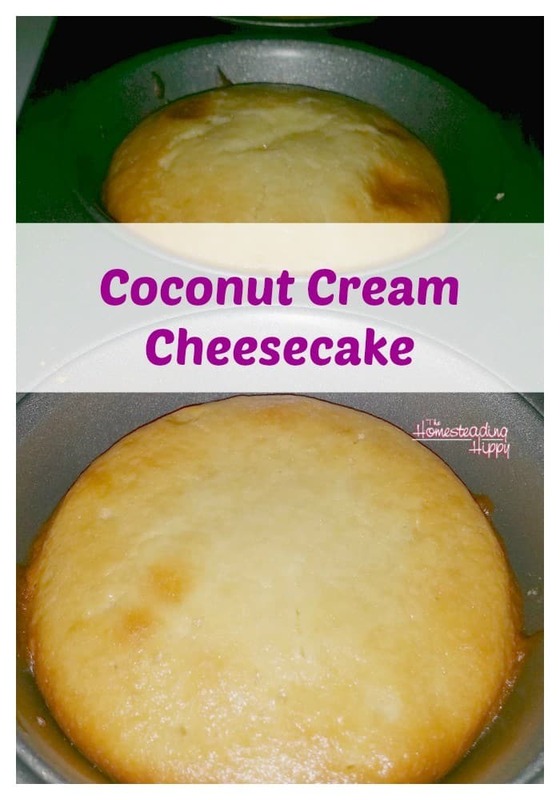 Sure, there were copycat recipes for Cheesecake factory, or New York Style that were good, but they were so full of sugar! I wanted to find one that didn’t use a lot of sugar and was gluten free. Hubby suggested that I come up with my own, and I was all to happy to try. Of course, so were the kids, who LOVE cheesecake in all it’s forms. To them, there is no such thing as a bad cheesecake. Lately, I’ve also been kinda “geeking out” on coconut cream. It’s like peanut butter on a spoon on a Saturday morning good. So, I knew that had to be a part of the recipe. Here’s the one I came up with. I hope you enjoy it as much as we did! Begin by mixing 1 cup of almond flour with 3 T. coconut oil. You want the oil to be soft, but still solid. The oil will melt and it will look similar to a paste. Grease a jumbo sized muffin pan and press the mixture in even amounts in the bottom of the pan sections. You could also use muffin papers, if you would like. 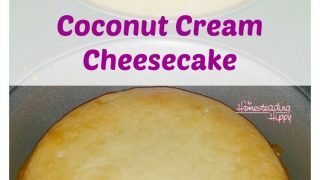 Mix 4oz softened cream cheese, 1/4 cup coconut cream, 1/4 cup hone, 1 egg, 1 tsp vanilla and pinch of salt until well blended. Add 1/4 cup of the mixture to each muffin cup. Bake at 350° for 30 minutes, or until lightly browned and a knife inserted in the center comes out clean. Cool completely (if you can wait that long) and then remove from pan. Enjoy! Gluten free and honey sweetened make this a delicious treat you can feel good about! Begin by cutting the oil into the almond flour to form a slight "paste". Place the mixture in the sections, pressing down to form a crust. Mix the rest of the ingredients in a large mixing bowl. Add approximately 1/4 cup of the mixture (for large) or 1/8 cup mixture (regular sized) to each muffin cup. Bake at 350° for 30 minutes, until lightly browned and a knife comes out clean in the center.